Part-psychological thriller, part-urban legend, this is an unsettling narrative made up of diary entries, interview transcripts, film footage transcripts and medical notes. Twenty-five years ago, Elmbridge High burned down. Three people were killed and one pupil, Carly Johnson, disappeared. Now a diary has been found in the ruins of the school. The diary belongs to Kaitlyn Johnson, Carly’s identical twin sister. But Carly didn’t have a twin . . . Re-opened police records, psychiatric reports, transcripts of video footage and fragments of diary reveal a web of deceit and intrigue, violence and murder, raising a whole lot more questions than it answers. Who was Kaitlyn and why did she only appear at night? Did she really exist or was she a figment of a disturbed mind? What were the illicit rituals taking place at the school? And just what did happen at Elmbridge in the events leading up to ‘the Johnson Incident’? Chilling, creepy and utterly compelling, THE DEAD HOUSE is one of those very special books that finds all the dark places in your imagination, and haunts you long after you've finished reading..
Below is a chilling audio clip taken from The Dead House to give you a taster for this brilliant book! So above I mentioned that The Dead House is very special to me. As some of you may know, I was publicity and marketing assistant at Hachette Children's Group for 6 months. During that time I read and adored this book. Not only that, but it's the very first book that I have had the chance to do parts of a PR campaign for. Reading this book gave me so many ideas. I played with a lot of different things (some that weren't so attainable) but one idea that I got stuck on was this idea of audio clips. If you've read the book, you'll probably have seen my thinking. I thought that so many sections of this book - particularly the scenes with Dr Lansing - was perfect for audio. I felt that extracts weren't enough to show how chilling this book is. I thought that to really convey that we would need voices. I thought it would be something a little different for a blog tour too! Thankfully, both Dawn and Nina were up for this as well and Dawn has produced some absolutely amazing clips. I really hope that you guys enjoy listening to them. It fills me with such pride and excitement listening to each and every one! This is a book that you really don't want to miss out on. 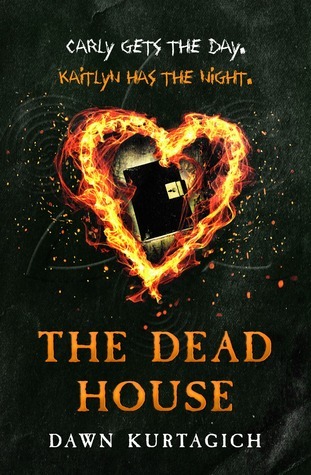 My lovelies at Hachette have offered up x1 copy of The Dead House for one lucky winner. Hop on over to my Twitter account to enter! I found this book genuinely creepy.